Companies that provide least-cost routing (LCR) services don’t want mobile interconnect rates in SA to fall precipitously as they profit from the arbitrage opportunities that the high fees offer. Holdsworth’s comments follow hard on the heels of TechCentral’s interview with Jacques du Toit, MD of VoxOrion, a big player in the LCR industry. Du Toit argued that interconnect rates should not be slashed, but rather brought down gradually — at about 5%/year — to about 80c/minute. But others, including Holdsworth, believe the rate should be far lower, and brought down far quicker. Independent telecoms researcher Alison Gillwald says mobile interconnection fees should fall to 25c/minute, or even less. Mobile interconnect rates are the fees the cellular operators charge each another and other telecoms operators to carry calls not originating on their networks. They are set at a high R1,25/minute in peak time. MTN and Vodacom have been accused of using the tariff as a crude anticompetitive club to keep competitors from emerging. If the rates are slashed, LCR operators stand to lose, Holdsworth says. “Almost all businesses in SA are forced to deploy LCR solutions to get around the high cost of calling mobiles from a land line,” he says. “The LCR industry was born out of an arbitrage opportunity that emerged when the mobile operators reduced their on-net rates below the regulated off-net interconnect rate. Next Article Holy fan service, Batman! Assuming interconnect rates are lowered – and they do drop as far as R0.25 cents per minute – how much of this rate reduction do ECN [and other vendors] intend passing onto the customer? I am under the impression that in other countries where this has taken place, the customers have not necessarily benefited from interconnect rate reductions. Not immediately anyway. How aggressive does ECN intend to be in this area? I ask because ECN intimated in a meeting today that you are looking at a 15 – 20% call cost reduction, should the interconnect rate drop. Would this not be the same as taking a phased approach? Building capacity with profits over time? Our customers would certainly be very really interested in understanding this aspect of the telecoms market right now. 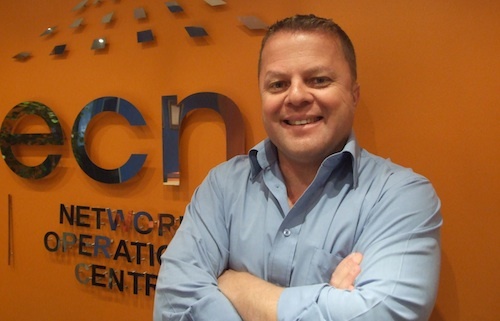 ECN wants to change the way that cell phone charges work in South Africa. We think consumers deserve better value from their carriers and believe that the situation can be improved with significant benefits for all phone users. High mobile interconnection rates mean everyone pays too much for their phone calls and prevents new entrants like ECN from launching truly innovative and disruptive services. The high interconnection rates imposed by the incumbent mobile operators have effectively closed their networks to competition. When a new operator enters the market, its customers have to make most of their calls to other networks. So, proportionally, they spend far more on excessive interconnection charges and call prices don’t come down as much as they should. The effect of this is that the new entrant ends up having to subsidise the profits of the incumbent operators just to enter the market. We believe that high interconnection rates are extremely outdated and were introduced as a pro-competitive measure when the mobile operators first entered the market. The fees date back to when these companies were building their networks to help them cover their costs. But now they are multi-billion rand, multi-nationals, not cash strapped start-ups and they should be giving customers a fairer deal. I am prepared to say on the record that if ICASA reduces the mobile interconnect rate today we will substantially reduce our fixed-to-mobile retail tariffs tomorrow. Hopefully the days of SIM cards, premicell’s, congested base stations, connection bonuses, complex bills, dodgy savings, dropped calls, poor quality, private numbers and long connection times are almost over for fixed-to-mobile calls. ECN is committed to giving our current and future customers a better deal. Ideally if the interconnect rate declined to the levels it is in the USA, Canada, India, Singapore and Hong Kong we could for example offer ‘all-you-can-eat’ packages where customers would pay a set price and have the peace of mind that all calls will be covered, including those to mobiles. Current mobile interconnect rates make that impossible – what a pity. I see very little difference in the telecoms models chosen by each of your companies, being ECN and Orion. From a mobile perspective both of your companies are effectively LCR companies focusing on the routing of on-net calls. ECN may carry all of its calls to its operations centres before breaking out to the mobile networks while Orion may carry some calls centrally while breaking the balance of its calls out at the customer’s premises. Both companies do the same thing! I doubt anyway whether either of your companies are passing substantial mobile minutes through your inter-connect agreements at 125 cents when you can purchase mobile minutes from the networks at a lower price. So, in the eyes of the mobile networks you are both LCR companies. I also doubt whether they (being the mobile networks) currently allow you to inter-connect and act as “SPs” at the same time. Why then John would you argue that Jacque’s LCR business is obsolete when the very business you run is the same thing? If MTR drop to the levels suggested by John H surely this is of benefit to both your companies as your ECN and Orion originated calls will both terminate on the networks of the larger telcos at a MTR of 25 cents proposed by John H. If the retail rates of mobile calls do not fall drastically in line with the drop in MTR as suggested by Jacque DT then the sender of the calls gets a greater margin for delivery of a cross network call than for delivery of an on-net call. In summary, the “sender receives more”. So Jacques theory is correct. What I fail to understand is why you (being Jacque) don’t support the same reduction in MTR as does John H? What I would be interested in understanding is the answer to the question posed by Peter Walsh: what retail rates will each of you offer the consumer if MTR does in fact drop to 25 cents? We all need o realise that it has been shown in other markets that a drop in the interconnect rate does not mean that the consumer pays less. All that happens is the operators make more money from off-net calls. In this country, Telkom is likely to drop their fixed to mobile rates because they are the hardest hit and this is where the arbitrage opportunity for both John’s and Jacques’ companies gets pressurised. John has stated that ECN will drop the fixed to mobile rate tomorrow if the MTR rate drops today. That’s fine but its highly unlikely that the networks will plug one hole and allow another one to leak. The retail tariffs will most likely be adjusted to make the arbitrage opportunity in the interconnect marginal for the consumer and ECN and Vox will have to make do with thinner margins. The relative sizes of these two companies means that there may be more pressure on ECN as their pricing strategies seem to suggest they are anticipating a sudden drop in the MTR. The networks are “shrewd operators” and know just how to run a business. They are in a situation where any reduction in profits forced by new regulation will immediately reflect on employment, advertising and sponsorship and we all know what effect cost cutting here will have. ICASA are going to be faced with some unpopular decisions to make. The total telecommunications bandwidth in SA (circuits + IP) is like a long sausage shaped balloon. Squeeze it at one end and it bulges at the other. VoIP seems like a saving in call costs but the total cost to get the same quality can exceed conventional telephony. You can take rat poison that any reduction in profits in one channel will find its way back in another. Low cost per minute rates on a VoIP link balloon out in the cost of IP links and that’s before the internal company cost of managing the link is counted. It seems to me that the interconnect rates will come down but not to where the esteemed consultants are suggesting at 25c. That would create more chaos and hoo-haa than keeping the rate unchanged. My guess would be a drop to between R1 and R1.10. Enough to keep the Least Cost Routing business alive and to allow some arbitrage for John and Jacques but not enough to cause unemployment, major reduction in advertising and sponsorship spend. Especially before 2010. After the tournament its probably going to be open season. Nobody got fired by buying IBM. No-one is going to stick their necks out and propose rates that will be bigger news than 2010 itself. So for now ECN and Vox are probably safe and you can bet that they will be doing lots of thinking.